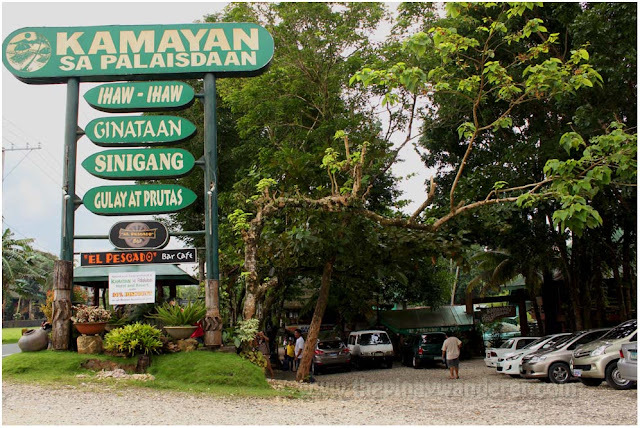 After climbing more or less 300 steps in Kamay ni Hesus Shrine, we heard our stomach rumble so we decided to have our early dinner at Kamayan sa Palaisdaan in Tayabas, Quezon, a floating restaurant along the highway going to Lucban, Quezon. We pass by this restaurant on our way to the Shrine from Lipa City. 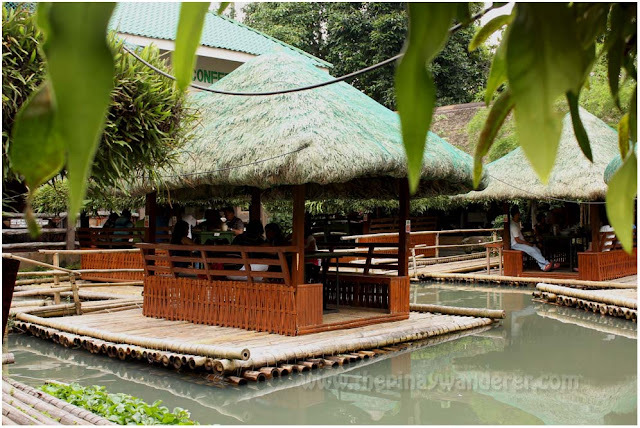 The restaurant, which is just a few minutes away from the Shrine, features a dining experience (with your bare hands, if you so desire) in a floating nipa hut. 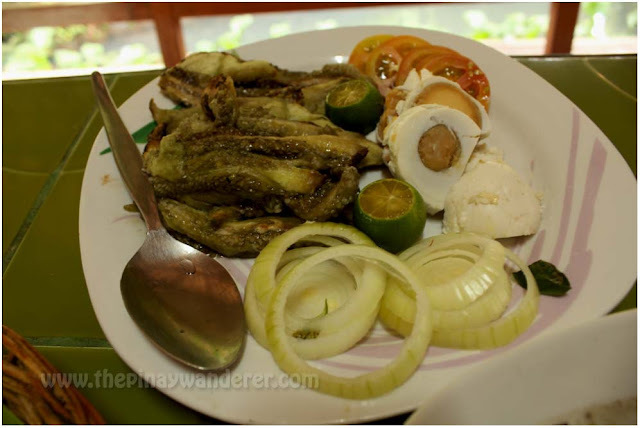 Here, we ordered for grilled tuna belly, grilled eggplant with salted eggs, ginataang suso at pako (snails with ferns in coconut milk), garlic fried rice and a pitcher of iced tea. 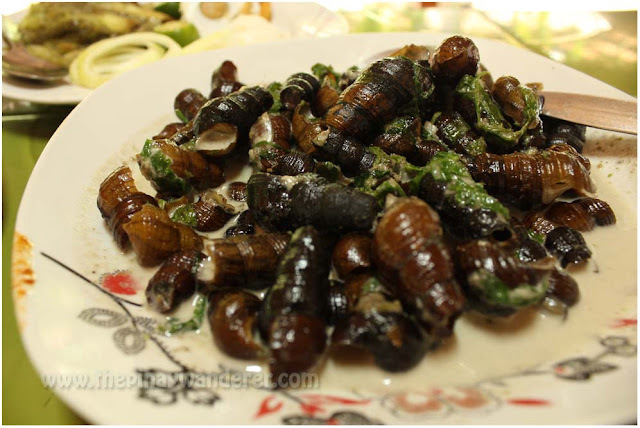 My friend, who is expecting ginataang kuhol as he thought it's the same, had a hard time sucking the snail out of its shell. Out of frustrations, he joked about it and said that maybe, the cook had included the empty shells from the other diners..hehe! 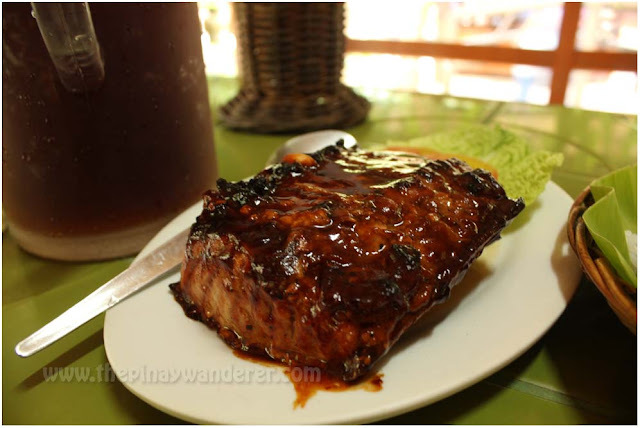 An order of this tuna belly is large enough to serve two people, could serve three if ordered with other dishes, and it's price of PhP250 is quite reasonable considering its size, cheaper actually if you compared it with other restaurant serving the same dish. Grabe namimiss ko ng kumain ng kuhol. Buko halo halo likey ko din yan ng sobra. 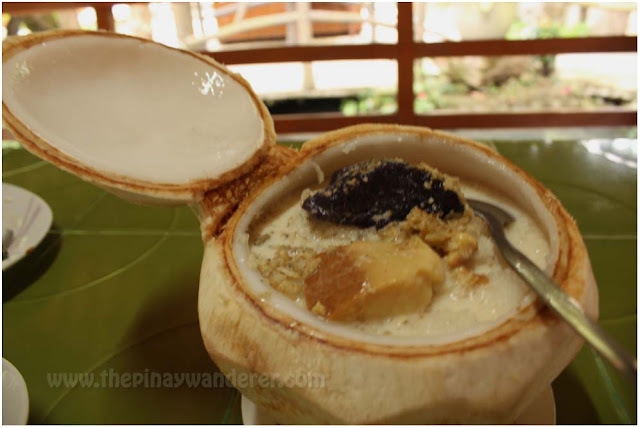 dahil sa nakakatakam na itsura ng buko halo halo gusto ko na yang puntahan! Pag may ginataang kuhol ang restaurant lagi kami umoorder. hehe! Gabi nung nagpunta kami dyan ang lamok pala sa gabi. wahhh, naka miss ang mga pagkain dyan. Hu hu. I miss philippines. Anyway, thanks for sharing a part of our home country. 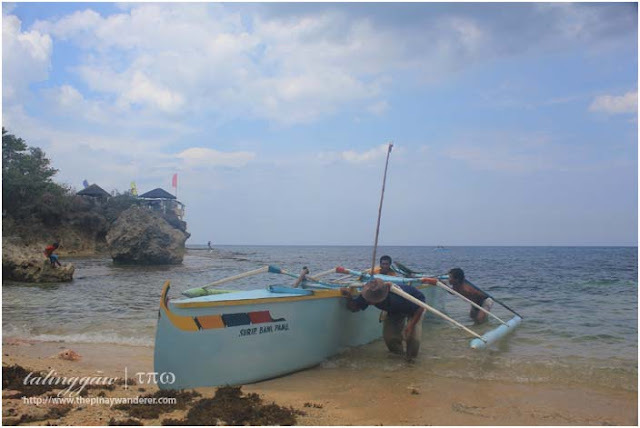 Ang sarap naman ng mga foodies mo,lalo na yang buko halo-halo so yummy..
ang sarap kumain dong sa floating nipa hut nila.